When a tooth has been broken or damaged by decay and there is too much damage for the tooth to be repaired, the tooth may need to be extracted. The first step during an extraction will be to take X-Rays, allowing Frankel Dentistry to help plan the best way to remove the tooth. 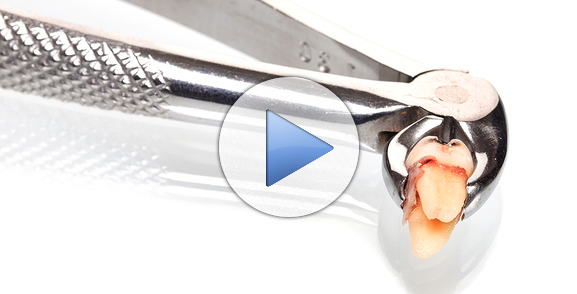 There are two common types of extractions: simple and surgical. A simple extraction is a common dental procedure. During a simple extraction, Frankel Dentistry will loosen the tooth with an instrument called an elevator and then uses forceps to remove the tooth. These procedures are commonly done with a local anesthetic. On the other hand surgical extractions are a little more complex. These occur when a tooth has broken off at the gum line or has not come into the mouth yet. During this procedure, the staff at Frankel Dentistry will make a small cut into the gums. Sometimes, it is necessary to either cut the tooth in half or remove some of the bone before extracting the tooth. Many times these procedures are completed with either a local anesthetic or through IV sedation. After an extraction, the staff will give you detailed instructions on how to care for the area and what to expect, including any discomfort. Additionally, Dr. Frankel will give you his personal cell phone number in case you have any problems or questions.